Whether you’re looking to install computers for a new manufacturing plant or an existing manufacturing floor, keeping to budget matters to you. Here’s how to achieve computer-integrated manufacturing [CIM] on a shoestring. We’re in the midst of ‘Industry 4.0’ – or the fourth industrial revolution in layman’s terms – a process leading to increased computerization on the manufacturing floor. As the use of computer tech spreads across manufacturing processes worldwide, so do the challenges and headaches. In pursuit of a high-spec, CIM process, too many firms are putting themselves under severe financial strain for the sake of computerizing the manufacturing floor. That’s bad. Manufacturing plants find themselves tied into assets that quickly depreciate in value and incur significant costs to maintain. 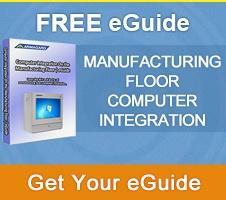 Starting out on your quest to achieve computer-integrated manufacturing, here are a few pointers to help you avoid the financial pitfalls of bringing computer equipment to the heart of your manufacturing floor. Keeping a CIM project on budget can be a challenge, but can be done. 1. The first step to keeping your CIM project on budget is to avoid temptation. Every project doesn’t need brand new computer kit in order to achieve its goal. New equipment is nice to have, but is it essential to the operational needs of your computer-aided manufacturing process? If not, then put buying new equipment on the backburner as a future project. 2. The second step is to consider how you can make use of your current IT equipment to achieve your goal. 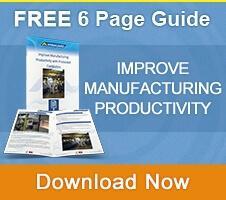 What segments of your manufacturing process could computers systems help to improve? How about data collection and storage, planning, purchasing, design, inventory control or cost accounting? One of the primary keys for keeping to budget on a project as big as computer-integration on the manufacturing floor is making use of what you already have. It cuts a huge chunk out of your overall spend. For a significant number of manufacturing firms, computer-integration on the production floor has improved productivity, simply because IT equipment has replaced processes that were previously paper-based. This in itself reduces costs elsewhere across the business. It might only be reducing the paper bill, but every bit helps. 3. 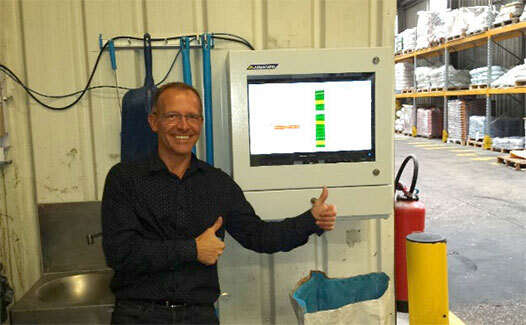 If you have to buy new computer kit, don’t be led to believe that you need specialist grade equipment to make computer-integration work on your manufacturing floor. One of the most common traps manufacturing firms fall into is purchasing highly sophisticated pieces of kit that overcomplicate the manufacturing process. High-grade computer equipment is mega-expensive and will make light work of a shoestring budget. That’s without the cost of installation, the cost to train staff on how to use it and the cost of maintenance. Long-term, industrial computers will incur additional costs for software upgrades, repair and eventually, replacement, all while they depreciate in value. What starts as an asset, becomes a liability. Ultimately, you’re not in control of such systems because they will require a check-up every so often. In the small print, you’ll have been signed into a maintenance agreement once the warranty and guarantees have expired. That’s not good for your shoestring budget. 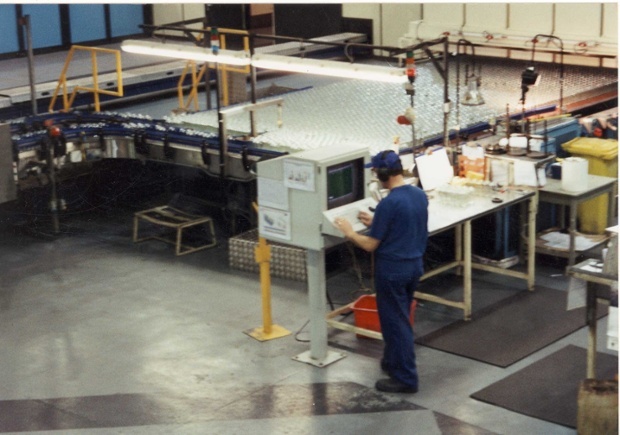 … Used the world over, industrial computer enclosures represent an opportunity for manufacturing firms, and other industry types, to bring existing computer equipment or new kit right to the heart of the manufacturing floor. Industrial computer cabinet housing PC, screen & printer at the heart of Doha airport, India. Designed specifically for a range of manufacturing floors across every industry sector, enclosures are an impenetrable fortress of protection for computers used in harsh processing environments with a high volume of dust, dirt, moisture or other harmful particles. The mark of quality enclosures are those that comply with US NEMA (National Electrical Manufacturers Association) standards. In terms of achieving computer-integrated manufacturing on a shoestring, they are gentle on the budget and can be a fraction of the cost compared with alternatives. However, a lower cost doesn’t mean quality is compromised. Some enclosures on the market are known to last ten years or more, protecting multiple generations of standard computer equipment. Therein lies their value. The long-term implications of installing purpose-built computer enclosures on your manufacturing floor are much more in sync with keeping to your budget than the other options available. Ultimately, the humble industrial computer enclosure allows you to integrate IT equipment on the manufacturing floor if you’re working with a shoestring budget, reducing the financial strain on your firm when it comes to setting your production floor up for its future.